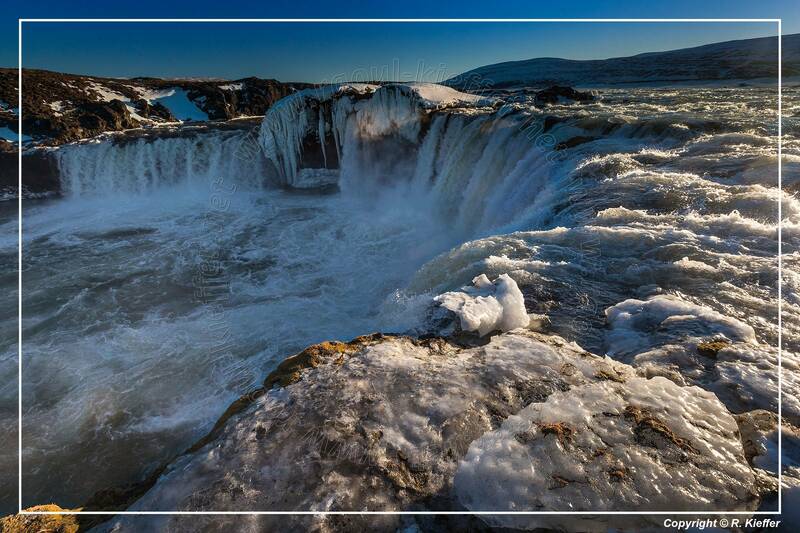 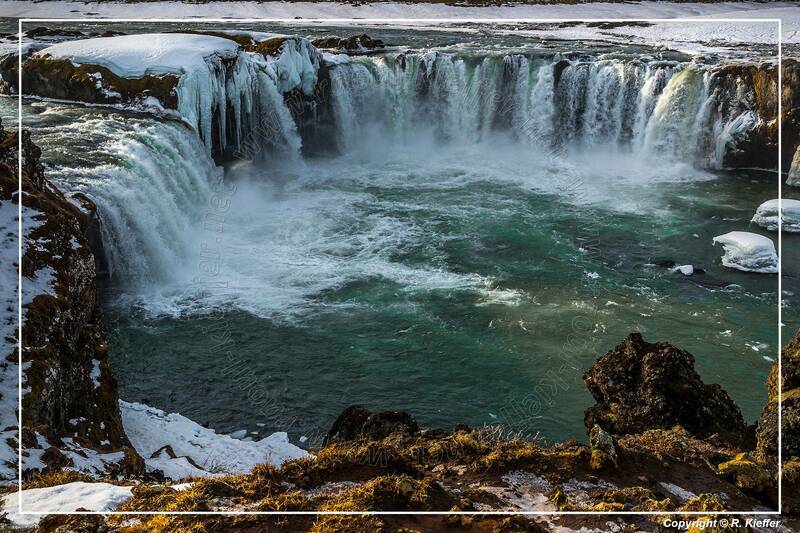 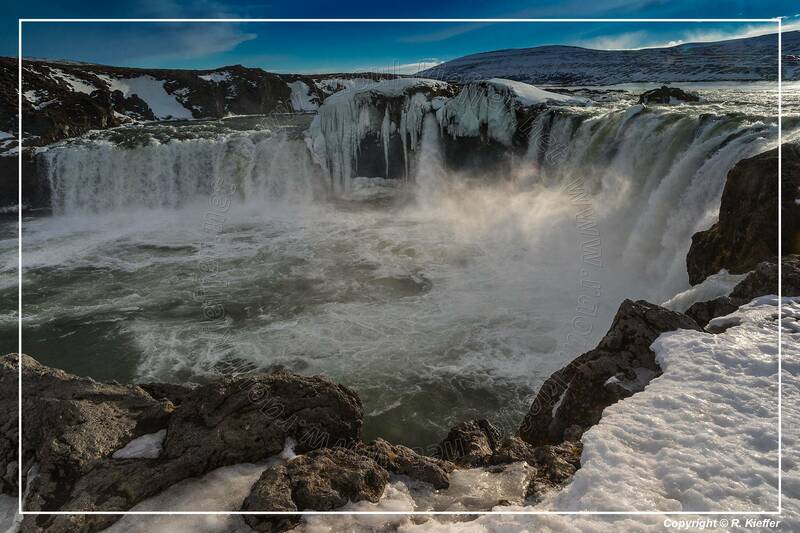 The Goðafoss (“waterfall of the gods” or “waterfall of the goði”) is a waterfall in Iceland. It is located in the Bárðardalur district of Northeastern Region at the beginning of the Sprengisandur highland road. 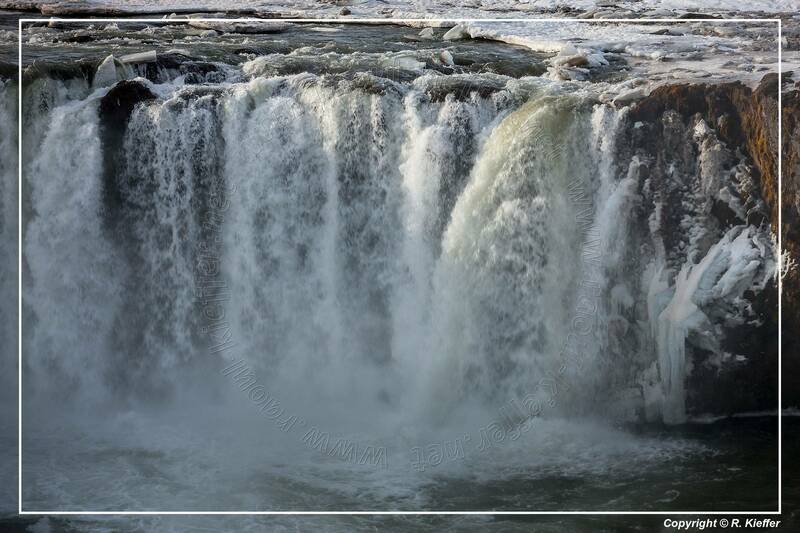 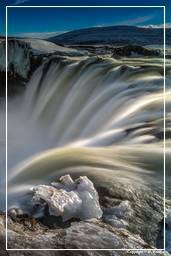 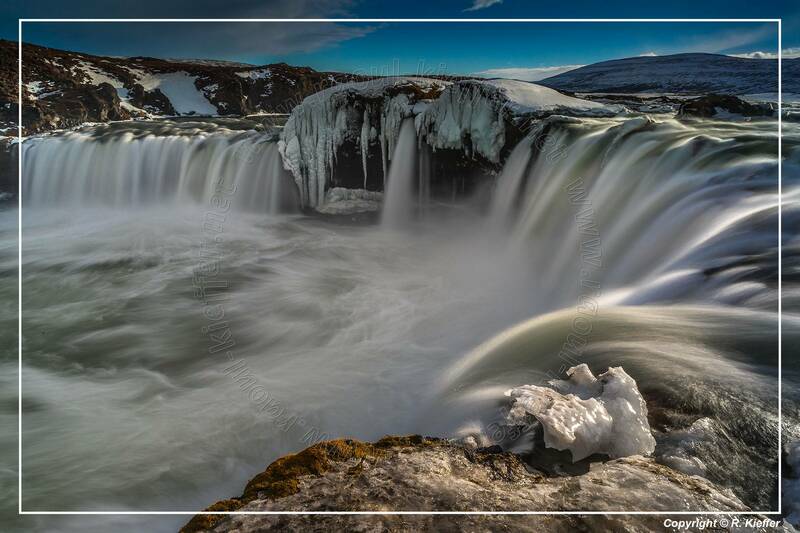 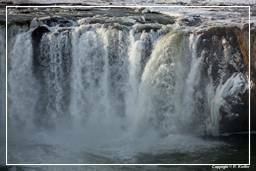 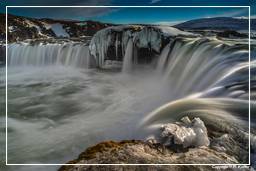 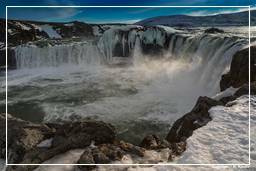 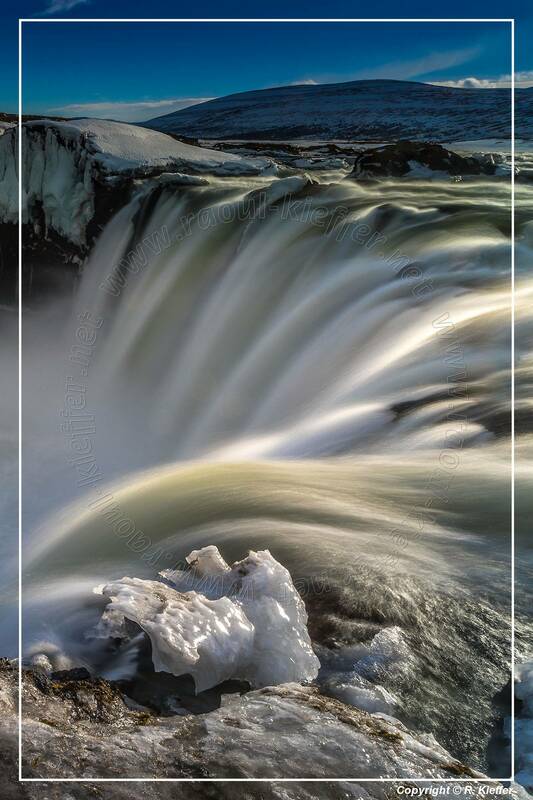 The water of the river Skjálfandafljót falls from a height of 12 m over a width of 30 m. The river has its origin deep in the Icelandic highland and runs from the highland through the Bárðardalur valley, from Sprengisandur in the Highlands. 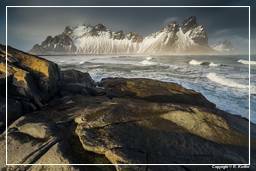 In the year 999 or 1000 the lawspeaker Þorgeir Ljósvetningagoði made Christianity the official religion of Iceland. 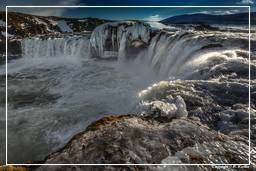 According to a modern myth, it is said that upon returning from the Alþingi, Þorgeir threw his statues of the Norse gods into the waterfall. 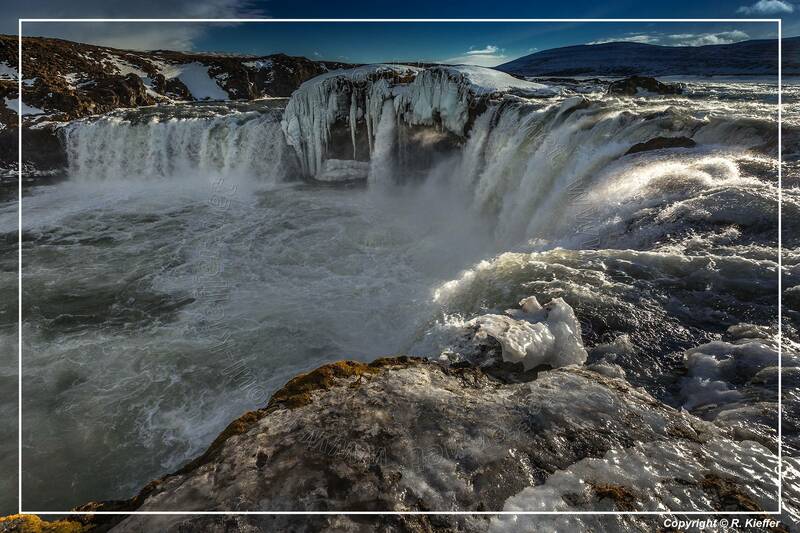 The story of Þorgeir’s role in the adoption of Christianity in Iceland is preserved in Ari Þorgilsson’s Íslendingabók.